My house is now a home, filled with much more joy, love, and excitement than I could have possibly furnished it with alone. Our family is tight-knit and happy, including a darling yet vivacious two-year-old, a white fluffball cat, a mommy, and the sweetest most caring nanny ever! Maria hasn’t simply joined our family, she has grown up with it, and is fundamental to it. She has been a partner in not only making sure my daughter grows up safe and healthy, but also polite, kind, and educated from an early age. Our family is about to get bigger, with another baby on the way shortly, and it’s hard to say who is the most excited amongst us! I am so fortunate to have found Marie with Diamond’s help, as my life could not be as it is without her. beyond what is expected of her and my children love her like a parent. Jordana B. Hi Caroline and Shauna- I hope you are both well. I wanted to send you an email to let you know how utterly pleased I have been with Dovelin since she started with us last August. She is such a lovely lady- kind, caring, gentle, relaxed, fun, easy going, hardworking and overall amazing. We really love her, the kids especially!!! She has taken quite a demanding job (with 4 little kids!) with such ease and never seems to get flustered or irritated, even at the worst of times. We feel very fortunate to have her as part of our family, and want to thank you for your guidance and assistance with this.Wishing you all the best. Hope all is well with you. I just wanted to let you know that things with Esperanza are amazing. She’s a wonderful nanny and such a great person to have around. I can’t say enough good things about her and wanted to say thank you for putting us in touch with her. Collin and Olga SHi Caroline and Emylou,A quick update for you. Sharon R has been a fantastic addition to our family!! She fit in quickly and is smart, great with the kids and ambitious. We love her! So where do I start……. Sheila arrived in Calgary, Alberta on February 4, 2014. The first thing Sheila wanted to do was experience the Canadian climate by taking pictures of the snow. She has the most positive, resilient and heart felt personality. My three boy Austin (6), Mason (4) and Nathan (2) absolutely love her and especially my two year old Nathan. She is always taking the kids to the parks to do outdoor activities and gets the two older boys to school on time. Sheila is the best cook ever she can make homemade dumplings, wontons, stir fry, spaghetti, homemade garlic lemon chicken fingers and the list goes on. 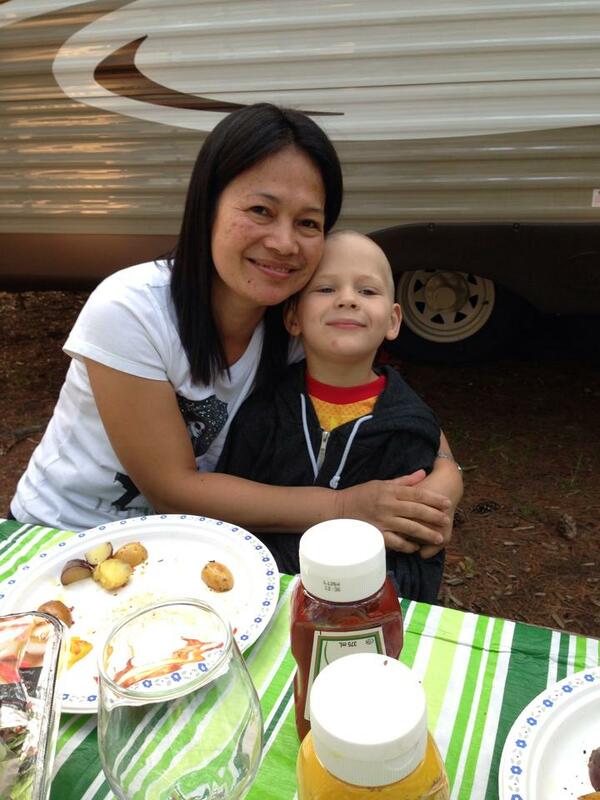 Not only is she great with the kids, cooking and cleaning but she also has an international driving permit and completed and passed her Driver’s training with the Alberta Motor Association (AMA). She has her Alberta license and is waiting 2-3 weeks to do the road test. I always encourage Sheila and tell her how impressed I am with her being able to do so much and adapt so quickly when English is her second language. Sheila is an early riser and every morning she is happy and upbeat and 100% reliable. Sheila and I enjoy spending time together and learning about each other’s culture. I have met Sheila’s siblings and children on FaceTime and look forward to meeting more of her family in the future. In her original application with Diamond she commented that she was, “motivated and is strong physically and mentally”. I have to say that I agree completely. Thanks for everything Sheila. Brenda arrived in St. John’s, Newfoundland in February 2014, during one of our coldest and longest winters since the 1970s! Her beautiful spirit and positive attitude reassured us we made the right decision. In just a few short months Brenda has become an integral part of our family and we couldn’t be happier! 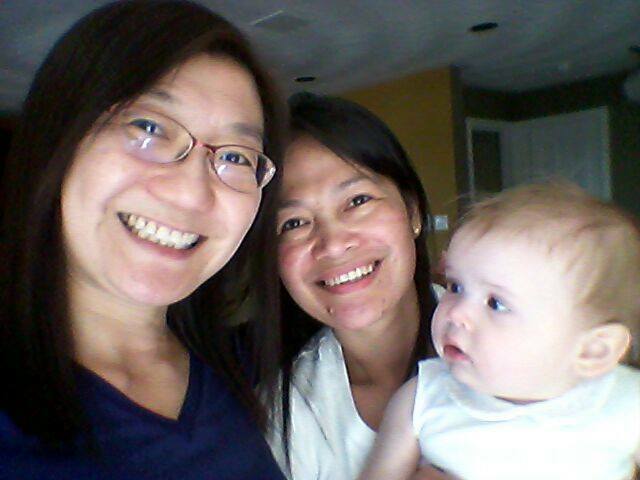 As first time parents we look to Brenda for guidance, as she is a mom and has raised many other babies. Our five month old son, Grayson, absolutely adores her and has the biggest smile on his face when she appears in the morning. She’s punctual, reliable, trustworthy and helps with many household tasks such as cooking and cleaning. 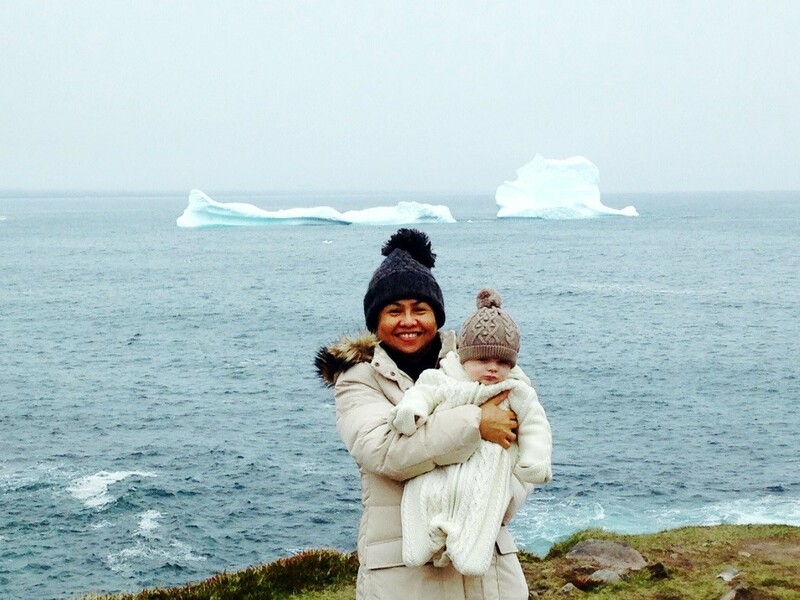 We encourage Brenda to explore new recipes and enjoy life in St. John’s. Although this harsh winter didn’t stop our adventurous Brenda, I’m looking forward to the warmer days where she and Grayson can spend time together outdoors. He is at an interactive age and loves when Brenda sings and plays with him. Their evolving relationship is so incredible to watch. We enjoy getting to know more about Brenda, learning about her culture, and seeing pictures of her family in the Philippines. We hope someday to meet them. Just recently we took our first family vacation to the Cayman Islands and Brenda was able to join upon the consulate approving her visit. 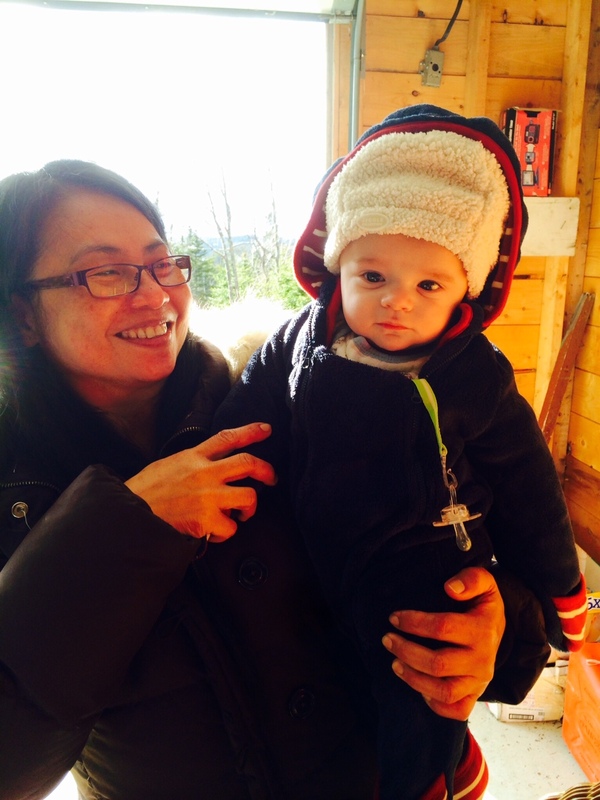 The travel experience with an infant and our vacation time was stress free thanks to Brenda’s presence. Many more adventures to come! 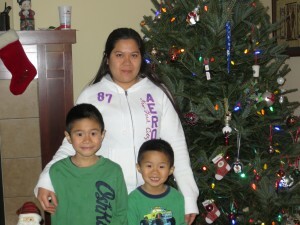 It’s with deepest gratitude that we nominate Brenda as Nanny of the month, she deserves a high five on a job well done! Keep up the great work! 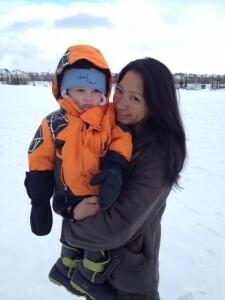 Pam and Christopher B Lona came from Hong Kong to our farm in the middle of a very cold and snowy winter in northern Alberta. She had never seen snow before and was smiling and happy at the airport. My first impression of her was that of a warm, soft-spoken and impeccably dressed woman. I had such high-hopes that she would fit in with our family and that she would be happy here. I felt the “fit” from the moment she spoke to my 6 and 3 year old sons. Lona quickly learned the ways of our household and helped tremendously through my pregnancy and birth of our 6 month old son. She works full-time caring for our three young boys and helping with household chores. She is professional, dedicated and honest. Lona has a special relationship with each one of our boys and respects our roles as parents. I never worry about the safety of my children when they were with her. Lona is always patient with our children. She is respectful, yet is able to discipline them appropriately when needed. I love that she can sit quietly and read to them one minute, and the next minute be on the floor playing and laughing with them. Lona enriches the boys’ lives immensely and has made our lives so much easier. It has almost been one year since Lona arrived and she has completely become a part of our family. Our children adore her, as do my husband and I. On behalf of our entire family we want to thank-you for the wonderful work you do in bringing amazing candidates to our country. We feel so grateful to your whole team for bringing Myrna into our lives. My children ADORE her and we cannot express how happy and honoured we are to have her as a part of our family. Since her arrival in February, Myrna has truly become a member of our family! She is such a caring and nurturing person… she makes our lives so much better and we love her “to the moon and back”. Myrna is an exceptional person who is dedicating herself to help her family by helping our family. We recognize that this sacrifice cannot always be easy but are so grateful that she has joined us in Canada and has meshed so well with our family. 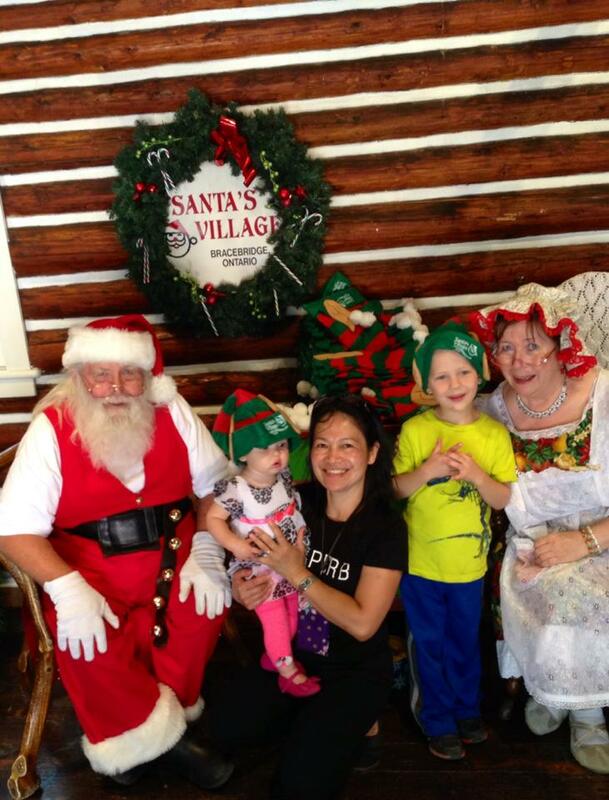 This past weekend Myrna joined us on our first family camping trip to Santa’s Village in Bracebridge…RV and all. It was a lovely experience and we love the fact that Myrna is so willing (and eager) to share in these beautiful memories with us. We look forward to many more family trips together! On behalf of each member of my family (including our puppy! ~ he loves her too! ), thank-you Diamond Personnel for the pride and care you take in your work. Thank-you for connecting us with our Myrna!! Thank you Shauna, I love my new nanny!!! PatrickVenessa has worked out extremely well with us. She is absolutely an excellent employee and addition to our family and our daughter Katherine absolutely loves her. Venus is incredible…. I hope she stays with our family a long time, until our second one (not pregnant yet) is in school but I’m not sure how to make that happen and will have to just hope and pray! She is amazing and so loving with our daughter… brings tears to my eyes … she is a lovely new addition to our family and will be well taken care of, as will her daughter. Venus [has] provided us with above-standard care and as a result, we are able to work as physicians in the community with ease whilst knowing that our beautiful daughter is thriving and HAPPY. There is nothing more reassuring then that!! We are so grateful and want to support Venus in her new life in Canada as much as she’s supporting us! Scott P.Your experience and understanding of both the personal and legislative issues in sourcing and employing someone to care for my children was invaluable. I will not hesitate to engage your services in the future, and have, as you know, recommended you to friends and associates. TanyaWonderful Agencyrecently hired a nanny from Diamond Personnel to care for my two children. The professionalism and knowledge of their consultants made the process easy for us. We are delighted with our nanny, and would recommend this agency to anyone! 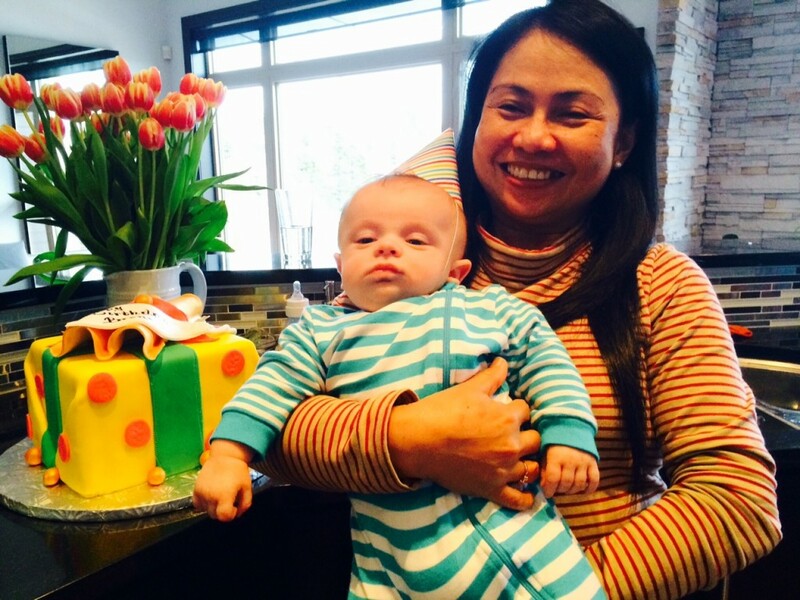 PamI was referred to Diamond Personnel by a friend to help hire a full-time nanny for our 11-month old son. 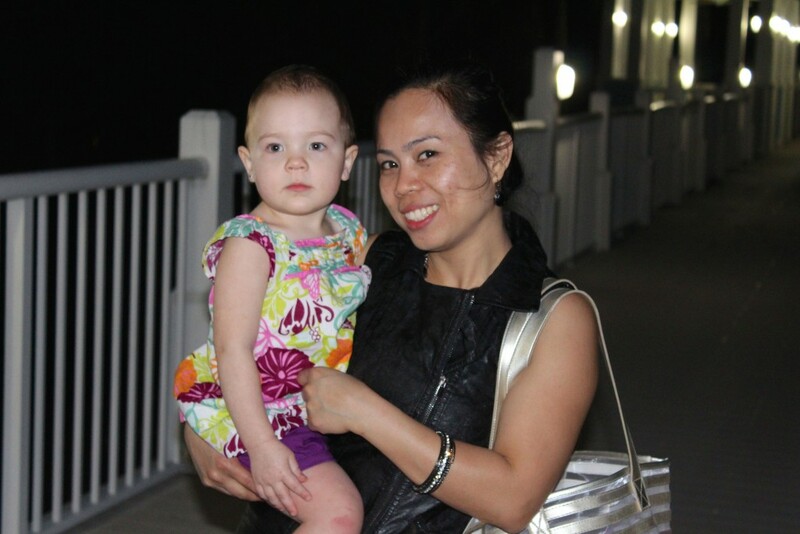 Within a short period of time, Diamond helped us to hire a great nanny who is a valued part of our family. The hiring process was professional and smooth. In short, Diamond made it very easy to do business with them. I feel very comfortable recommending the agency to friends. SamI called Diamond in a panic because I needed someone to care for my father when he suddenly fell ill. I had a demanding job, three kids and almost no family support. Within hours Diamond had three great candidates at my door for interviews. I loved them all but picked winnie because of her compassionate demeanour and great smile. My dad loves her and he is making an incredible come back. Thanks to Diamond for making this so easy. They are professional and quick. The consultant listened to what I needed and delivered. What more can you ask for? We contracted Diamonds services just this year. With the arrival of our twins expected (by C-section) on the 16th of February, and the current demands of raising our one-year old and three-year old, I don’t even want to consider what our lives would be like without the needed help. We certainly feel as though Diamond has saved our lives. We are quite pleased with every aspect of our dealings with Diamond Personnel and would certainly without question refer your service to anybody. I must admit that I was skeptical at first and it was challenging not to be swayed by unscrupulous caregiver agencies that have no fees whatsoever (because they charge the caregiver only). I guess it is so true that you get what you pay for in life, and if something looks too good, then it probably is. 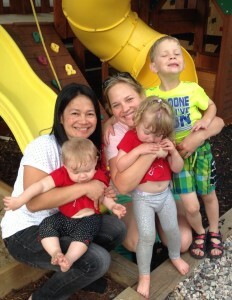 Our family life is of priceless importance to us and bringing a quality person like Irene here to help with our children has given us overwhelming peace of mind. Diamond is without a question the best, THANKS! Wendy3 words. She is AWESOME! ShannonWell what can I say? 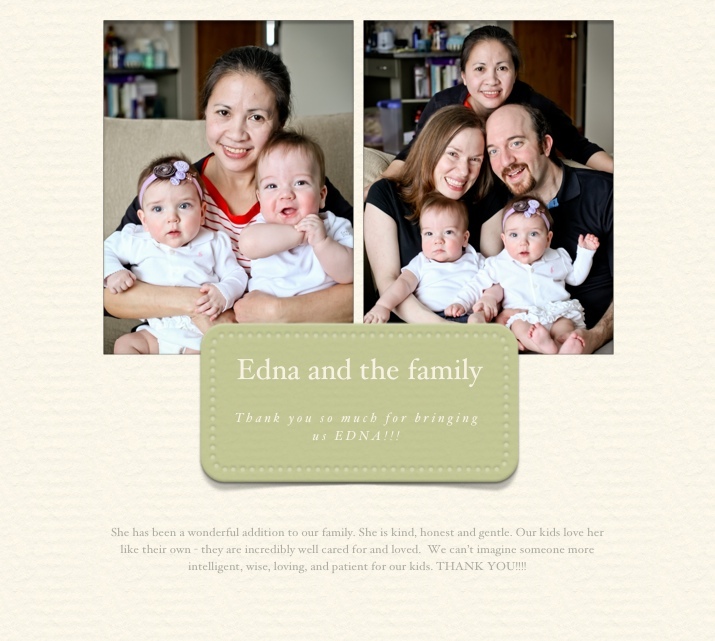 I have been overwhelmed by the perfection of the match between Editha and our family. She is truly the professional, dedicated, passionate and ambitious individual we dreamed of, but in reality had so many reservations that we would never find. Shauna, I cannot say thank you enough and I am so grateful that you agreed to take me on. We will undoubtedly recommend your service to ANYONE who feels the way I did. Frances T. – G.Thanks Emylou! Marcelina is absolutely amazing. I don’t know how we ever managed without her, or why we waited until now to get a nanny. This has truly been a life-changing experience. 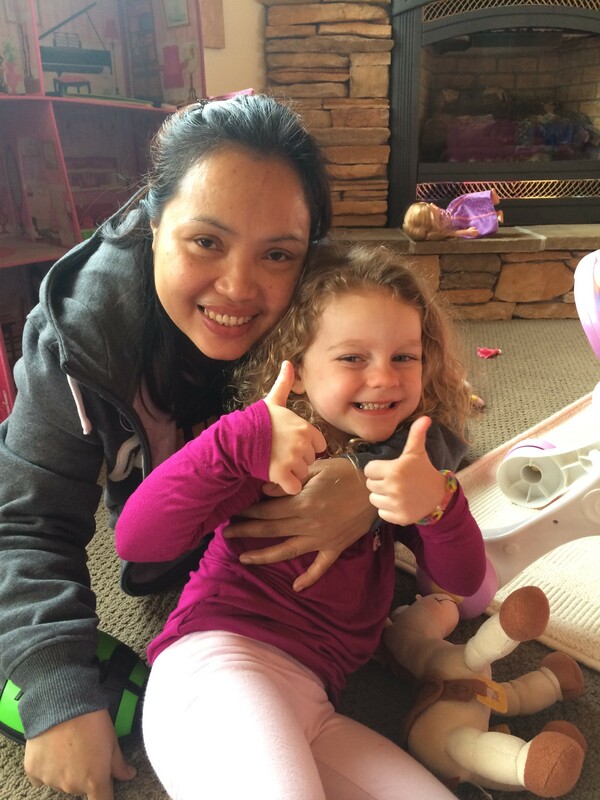 Benoit A.I would like to thank your agency for the excellent services we received and also for finding our Nanny from the Philippines. Shiela has been extremely good with our family and our two boys love her very much. She is a very good worker with a positive attitude and very energetic. We couldn’t have found any better for our family. Thanks again for your services. Susan G.We have been using your services since our twin girls were born more than 5 years ago. With both of us working outside the home, I just can’t imagine life without our Nanny, Lea. She is a remarkable human being and someone whom my children adore, and who we have tremendous confidence in. 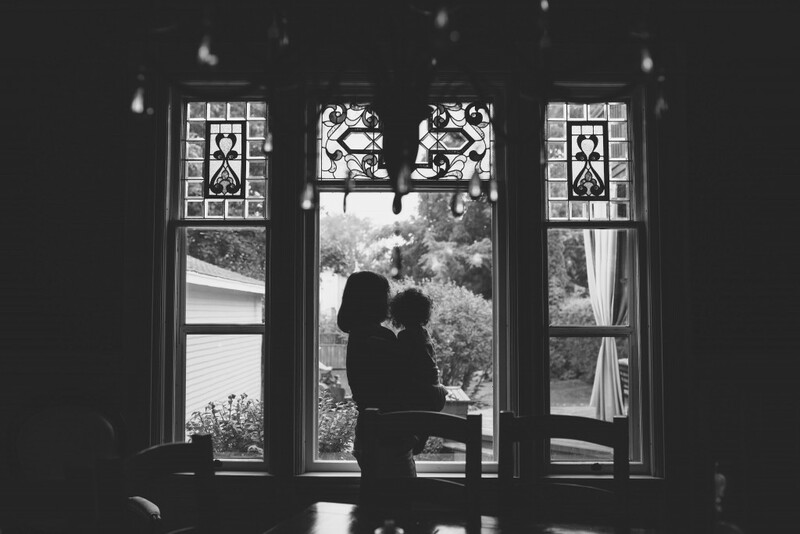 We have entrusted her with the very lives of our most precious children – and so to us – your service is PRICELESS. 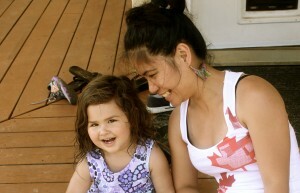 Jocelyn Y.Diamond found me the best nanny and she has been with my family for 7 years. I am happy to recommend this agency to any family who is concerned about integrity and quality of care. Donna A.When I sponsored my caregiver from the Philippine’s in 2005 – she came to me through the assistance of an agency – Diamond Personnel Inc. – which is an amazing agency. The Agency did a thorough check of my caregiver and provided me with a very reliable, loving, enthusiastic caregiver. She came into our family to care for my 1 year old twins at the time. She was absolutely a perfect fit for our family. Gloria C.Hi Mayela, I know this is a little late but I just wanted to send you this email to let you know how happy we are with Tess! She has made such a great addition to our family and made our lives so much easier. Alexzandra is so attached to her which really makes me happy. Alexzandra referees to Tess as ‘My Tess’ Dave and I get a good laugh out of that. Tess has also made many friends in our neighbourhood with some of the other nanny’s. I find it amusing when I am at the park and other children are coming up to Alexzandra and saying hi to her and I have no idea who these kids are! When I would get home I would have to ask Tess who they were! Tess is constantly on the go! I find it hard to keep up with her at times!! She is so full of energy. You can see Alexzandra light up when she sees Tess! I also love that she arranges weekly play dates with her nanny friends for Alexzandra! Dave and I are expecting our second child this January. Thankfully we have Tess to help us out! I can’t even think of what I would do having a toddler and a baby without Tess! Dave and I definitely made the right choice with your help going the nanny route. Thank you again and also Diamond Personnel for making my life that much easier!! Paisley FamilyMy utmost admiration goes to you Audrey, for your great courage and enterprising spirit to turn a life-threatening experience into something that has brought such significant benefit to others. JenniferDear Mayela, I just wanted to write you a quick note to thank you for finding and sending us Carmina! She is wonderful and a true angel! We cannot thank you enough, her personality is lovely and so uplifting! 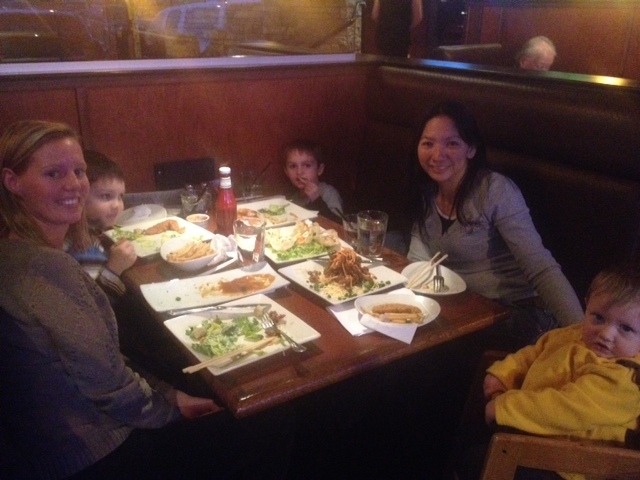 We greatly appreciate it and hope you find our great friend Alex a wonderful nanny such as Carmina! Thank you and we look forward to having Carmina as a part of our family for a long while. Hope you are well and thank you again! Eric M.Audrey and staff. On behalf of both my wife and I – thank you. It seems such a small thing to offer but for us what more can we say without it sounding trite? Your selection of a caregiver for our family was perfect. Our trust is deep rooted and we really do believe it is a match made .. at Diamond. Thank you. ToriDear Audrey and Shauna, I am a recent client relocating from London, England to Canada. I have used several nanny agencies in England. It was a total delight to be referred to Diamond, your team have been superstars in helping to find a nanny for our family. Diamond worked alongside my husband who is in Toronto and we have both been extremely pleased with your professional approach and high standards. Your team is excellent. Just thought i’d pass that along! TammyOn behalf of my family and I, I would like to express my sincere gratitude to the staff at Diamond Personnel for their help and support in the hiring of our new Nanny Lorna. Being as this is our first experience with a live-in nanny, in only a few days, Lorna has given us great confidence in her abilities to perform her duties in our home. She is an absolutely amazing individual, and shows great care both with our personal belongings, and our daughter Jenna. We could not have asked for a better candidate. It is our great pleasure to have her in our home, and we look forward to many years with Lorna as a part of our family. We are extremely content with both Diamond Personnel and Lorna, and would be happy to recommend their services to anyone at anytime. TaraThank you so much for everything. Annie is fantastic – very kind, fun, and energetic. My son is really thriving under her care. I couldn’t be more pleased! ScottDear Audrey, I wanted to take this opportunity, belated as it may be, to thank you for your kind and professional assistance in placing two caregivers into my home. Your experience and understanding of both the personal and legislative issues in sourcing and employing someone to care for my children was invaluable. I will not hesitate to engage your services in the future, and have, as you know, recommended you to friends and associates. Being a part of Diamond Personnel Agency gave me the opportunity to put my dreams into reality. I’ve worked in Hongkong for almost 2 years and I wanted to try my luck here in Canada. With the help of the agency, I was given a job in just a blink of an eye. I am so thankful too because my employer is such a blessing. They are good to me and treated me as part of their family. Though life in Canada is not a smooth road, I am able to survive because of the comfort of the people I’m working with and the agency’s supervision. Now I’m on the process of filing my immigrant status and still they are helping me out with my application. I can never find the right words to express my deepest and sincere gratitude to Diamond Personnel Agency for all the things they’ve done for me..
Florence M.Just wanted to let you know that Andy called us today, and told Naomi and I that he received our Canadian Visa, and all our other documents from the Canadian embassy, so we are very excited, and happy, but most of all grateful to you and your team for the help and support you have given Naomi and I can’t put it into words ,but just know as at now, you guys have been and are our guardian angels. Thanks a bunch. Cristina M.I just wanted to tell you that Jan. 13, 2010 will be my second month with the Williams-Pannell family. I hope they are happy with my services to them. And, i want to tell you that im happy with my work. My place of work is in a suburb area, but I don’t find it boring or lonely at all. I’m very happy taking care of their daughter and the adorable dogs Kinsey and Griffith. My employers are very nice and supportive to me, and I am thanking you and Diamond Personnel for helping me to have such a wonderful employer. RosyMy beautiful Ladies, Just to thank you from the deepest of my heart for all your beautiful Family who helped me and open the doors of your house with such a big generosity. I still remember very clearly how nice and loving family you were with me. My eyes are full of tears of happinnes to know that in the world there are people with a great heart like your family. Thank you becuase you help me find the best family. Now I have been working one and a half year with my dearest Dennise and Makayla and every day I thank God for this oportunity that was given to me. Every day you are in my prayers. Sorry I havent visit you but I promiss I will soon. Just trying to imporove my spirituality and trying to be more near to God. Thanks for beliving in me. Love you very much and you will always in my heart. Girlie S. CI am very much glad that thier are companies and organizations like Diamond Personnel that gives other people the opportunity to have a a descent job that makes thier life meaningful because they are caring for other people that need thier help in return it makes their life wonderful. HiraHi Mayela, How are you? Its been a while! Wanted to let you know how much we absolutely LOVE Marissa. She is truly amazing. She has helped our family so much and is already like a member of our family. We are all very attached to her. Getting a nanny like her was the best decision we could have made for our family. Thank you! CristinaHow are you? Im Ma. Cristina Montefalcon, I arrived here last November 13, 2009, i was hired by Dr. Kelly Williams-Pannell thru the help of diamond agency. I would like to thank you for giving me and my fellow filipinos a chance and a big help in coming here. My employer and her family welcomes and accept me and they are really nice to me. My employers’ friend are looking for a nanny, I told them that I came from diamond and we had seminars and we’re being interviewed by you personally, to know our strengths and weaknesses and to give us confidence, That’s why when I was interviewed by Dr. Kelly, I am very confident that time and I passed..thanks to you! More power to Ms. Audrey, to You, to Ms. Mayela ( she answers all my questions thru email promptly) and the rest of the staffs of Diamond! Again, Thank you so much,Take care! Mary AnnHi to all the staff of Diamond Personnel, thank you for giving the best employer here in Mississauga since 2006. Because of that I pursue my dreams to have my own townhouse and brand new car and finished my study PSW and my family the one who benefit of all the blessing. I won’t forget your agency . Happy Holidays. Meracel CDiamond was introduced to me by a friend last August. I was hesitant then to apply considering wide hiring sams in the labour market. Until a month after, I decided to attend orientation and got the confidence to apply and then last week was really a big WOW!!! I was hired on the spot! And not only that guys, I am so lucky I got a very nice employer in Canada. Thank you very much DIAMOND, you are the best! You are really worth trusting! EmilyI’m so amazed and overwhelmed when I got a call from Mary saying “Emily congratulations you got it!” The first time I heard it I just don’t believe it but yes I got my employer!! Thank you so much Audrey, Shauna and Mary for the support and letting my dream come true! This is it a new step for the new journey! I am so excited to come to CANADA, see you soon Shadi & Bahram. Have a great day Diamönd and more power!! Continue guiding & helping us to achieve our plan. 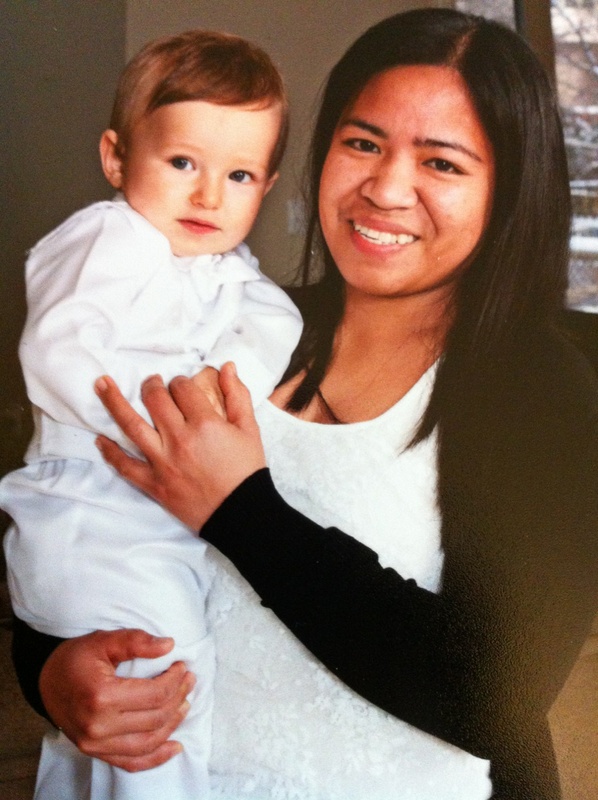 JudyMs.Shauna, Thank you for helping me find a family that will trust me to look after their child. Until now I cannot believe that i got the job that fast, it’s my first interview and i think I am also their first caregiver… . I will do all my best for you to be proud of me. Again thank you very much and more power. See you soon. GloryTo Audrey,Shauna and all the staff of Diamond Personnel Inc. I would like to extend my deepest thanks to all of you for having a wonderful agency and team work in guiding all your applicants including me. I am so happy that I chose Diamond to represent and help me in finding the right employer/family who are compatible with my capabilities and experiences. It is really important for you to know your self very well and be honest in every interview or documents that you are going to pass, in which the agency required, in order for them to find the match employer for you so you could have a happy and successful career as a nanny in Canada. And for that I really thank Diamond. More power to this agency and keep up the good work! EdithaThank you Diamond Personnel for giving me an opportunity to work there in canada I didn’t expect that in just a short period of time I was able to have an employer.To Ms.Edward thank you mam for hiring me,it’s a pleasure and im looking forward to work with your family … i will do my very best to be a good and effective caregiver. To Ms. Shauna I can’t really express my gratitude for giving this chance Thank you. To Ms. Mary thanks for all the support and helping me. Diamond Personnel THANK YOU VERY MUCH!!!! Your the best, more power!! MeracelDiamond was introduced to me by a friend last Aug., I was hesitant then to apply considering wide hiring scams in the labor market. Until a month after, I decided to attend an orientation and got the confidence to apply and then last week was really a big WOW!!! I was hired on the spot! And not only that guys, I am so lucky I got a very nice employer in Canada. Thank you very much DIAMOND, you are the best! You are really worth-trusting! CherilonaHello diamond personnel most especially to Audrey, Shauna & Mary… I would like to express my heartfelt appreciation for your great assistance in my quest for employment in CANADA. Because of your agency, I have been hired as a nanny for a family. I truly and sincerely thank you for all that you have done for me and make my dream come true….. Have a great day & more power to you Diamond!!!! MadonnaI would like to express my deepest appreciation to the Diamond staff esp to Audrey, Shauna and Mary for the full support and assistance that they have given me until I have got my employer in Canada. Thank you so much for being a part of my dreams becoming true, and also, thank you Elaine and Jasper for choosing me as your Caregiver. I’m gonna miss Mary’s phone call everynight! More power and God Bless Us all! VenalynDear Diamond Personnel staff, I would like to thank all of you for helping me to find a job placement, I really appreciate it and you guys are amazing. I found a job in 2 weeks time, I am very happy and grateful for all your help. THANK YOU SO MUCH! I am very excited to start my new journey and I am looking forward to see you guys very soon. Have a wonderful day to all. Diamond was introduced to me by a long time friend, not interested until I saw their advertisement in Filipino Newspaper recently. I decided to attend orientation, had an assessment on the spot and submit all my required documents the next day. I am overwhelmed hearing Mary congratulating me a day after my first interview. I would like to express my heartfelt appreciations to ALL STAFF (Shauna and Mary) for your great assistance. I will never find the right words to express my deepest and sincere gratitude to Diamond Personnel Agency for all the things they have done and still doing. Looking forward to see you guys and the family I am going to join soon. SoniaI am so happy and surprised when Mary give me a call and say Congratulations you got it!!! Thank you so much Audrey &Shauna and also to Mary and to all the staff of Diamond Personnel agency for all the assistance you have provided me during my job search. I am grateful for the time you spent reviewing my application and recommending me for the job. I appreciate the information and advice you have given as well as the communications you shared with me. Your expertise and help have been invaluable during this process.You make my dream come true.I salute for the service that you gave to all of your applicants. To my employers thank you so much for choosing & hiring me as a caregiver of your family.I promise that I do my best. I’m so excited to meet and to work with your family. To Diamond Personnel more power to your agency and keep up the good work.God bless!! !Again,Thank you so much!!!! CANADA see you soon!!!!! !Excited much!!! I would like to extend my deepest gratitude and sincere thanks to all the staff & personnel for helping me finding a job placement in Canada. Right now, I feel anxious to be there and wish that all the documents to speed-up and it’s great to start right away. I am looking forward to see the Diamond Personnel & Staff so soon. Can’t wait to be true. Thank you so much. God Bless. Hello Diamond Personnel I’m glad that I was able to know all about you and the happenings…:) I can still remember my struggle starting from my orientation with Ms. Audrey and Ms. Shauna down to Mr. Andy in my experiences in CCTI training with the instructors until to Ms. Mary who always accompanied me to win this job with the help of other personnel and to my future employers,I owe you my future and I don’t regret that I trusted DIAMOND PERSONNEL to reach my goal…I can still remember one time I comment on a post wishing and hoping I’ll be the next lucky candidate to find an employer,in just a month here I am just waiting ….I did it with your help!!! I thank you all DIAMOND PERSONNEL and hoping to meet you someday. I’m so excited CANADA!!! Cheers and more blessings!!! Good day! I’m Janice. I would like to say thank you so much to the number 1 agency in Canada THE DIAMOND PERSONNEL by helping me to find a new job in Canada. To Ms. Audrey and Ms. Shauna and also to Ms. Mary who always accompanied me to win this job and to my future employer THANK YOU SO MUCH! I know word is not enough but from the bottom of my heart I’m so very happy and excited to meet all you guys. I made it with your help. THANK YOU ALL DIAMOND PERSONNEL. See you soon Canada!! GOD BLESS US ALL!!! Greetings To All, My application with Diamond Personnel has been the “V” all of my inspiration since I had known the agency. It started when I spotted the advertisement hiring in one of the most popular local newspaper in town for the OFW here in Hong Kong, though I certainly inquired in some employment agencies but their accommodation and information cannot convince me at all to participate in their orientation until I read the local newspaper and saw the Diamond Personnel page. It all began there, and in a scheduled visit I attended the seminar and drastically fall in love with “Diamond Agency” especially when I heard Audrey and Shauna’s encouraging words of wisdom. I was honestly convinced automatically for their objectives, procedures, principles, and insights is very clear, reliable, prominent, strong, valuable and effective. Moreover, it was clearly proved when I enrolled to the Training Institute program (CCTI). Their professionalism enhances development and growth which produces quality caregivers. I salute you Diamond, hats-off to your dedication in promoting valuable caregivers. Thus, I want to thank God first and foremost,for giving me direction in this so called journey, thank you God for this wonderful blessings! My sincere big thanks also to Diamond Personnel, to their good office especially to Audrey, Shauna, Mary, Jiez, Emylou, Sir Andy, and to all our training teachers and others, who patiently arranged and accommodated all the transactions either by phone calls or documentations. This is a dream come true and I just can’t believe it’s mine now! Thank you so much and above all my heartfelt thanks to my very nice employer for choosing me. I owe you this much and I promise to do my best, and meet all your expectations, and I’m looking forward to seeing you soon with a happy heart. Thank you so much once again more power and God Bless! Sacrifices, perseverance and dedication shoot us to a star. A star that once just a dream, but now it’s within our reach. Mere words can’t express our sincerest gratitude for the realization of this blessing that was placed in our hands. Thank God so much for making the Diamond Personnel an instrument for leading us into a greener pasture. This agency developed and enhanced our capacities and capabilities thus making us more qualified for the positions we were intending to. Choosing this agency was the right decision. We will highly recommend this office to those who has aspirations like us. Ms. Shauna you’re an angel, thank you for seeking our much for our employment. To Ms. Mary, who always have a ready hand to extend to us in our needs, thank you. To Ms. Audrey, the establishment of your agency, Diamond Nannies have paved the road to many. Thanks so much. To the CCTI staffs, for the formation of our knowledge to become more effective and efficient professionals in our field. Thank you. More power and God Bless! “Actions and Patience has paid a way.” Thank you so much for an answered prayer and to Diamond Personnel thank you so much for making my dreams come true to come to Canada.I never regret that I choose your agency to give me the employer I’m waiting for.To Ms.Shauna thank u Maa’m for looking my match for my employment.To Ms.Mary who always have a long patience to answer my calls and emails.To Ms.Audrey thank u for establishing Diamond Nannies.To the CCTI Staff Mr.Andy Chu,Ms.Curly.Mr.Peter,Thank you so much all!I’m so speechless when Maa’m Mary Congratulate me for my new job..SEE YOU SOON CANADA!! I am very thankful that God give me knowledge and guidance to choose the best agency here in hongkong.I encounter lots of challenges to take my time for my interview and diamond staff was there to assist me.I admire your profesionalism in handling my application and you give me the place I want. To my CCTI thank you for the training and I am confident to give effetive care because of what I’ve learned. To Mr. Andy Chu thank you sir for accommodating and providing a good facilities for your students. To Carley, thank you for sharing the strategy on how to impress and sell my self to employer and Im happy I did. To Mary, you really did a wonderful way of telling me that I’m hired and I thank you for every call you did for me.You really had a good communication skills. To Shauna, I thank you for believing that I can met the expectation of your client and choose to be one of their candidate.To Audrey,thank you for establishing diamond because you can change the life of every dreamer. And To all dreamer’s act now,life is full of change be one of us and apply to diamond nannies they have a very well trained personnel to help. Again, from the buttom of my heart I thank God and diamond personnel.,more power and more nannies to come.cheeerssss.. Thanks Diamond so much…I’m so indeed happy…[The family is] so great person’s and professionals. As in five times better than my work in HK before… Thank U…thank U so much. Have a good day! They’re so good too..and well discipline.. I love them so much.. Again thanks so much for everything Diamond. I’m so happy here. LorelaI love my employment agency, Diamond Personnel. They get us a job in Canada but they actually won’t stop from there. They continuously take care of us, inspire us, encourage, praise us and make us proud of ourselves. It is such an honour to be part of Diamond Nannies, thank you very much.